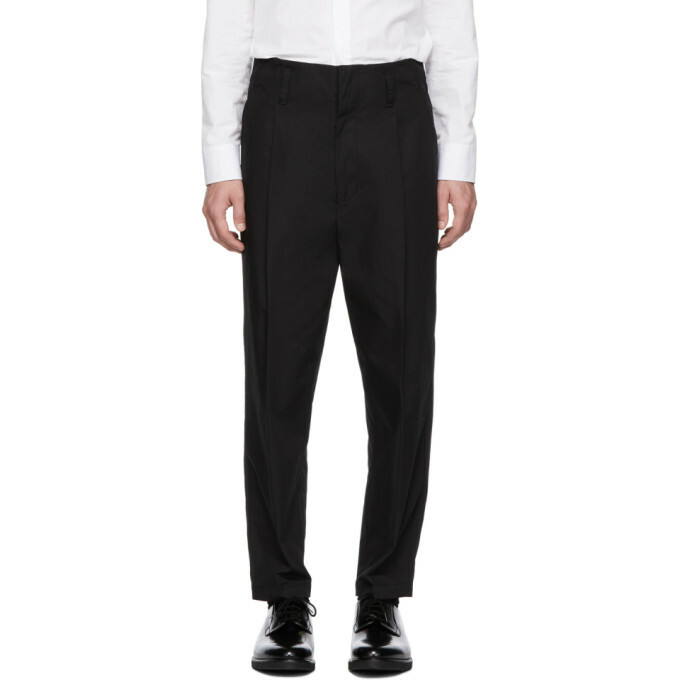 Relaxed-fit cotton trousers in black. Cropped leg. Dropped inseam. Mid-rise. Three-pocket styling. Pleats at front. Zip-fly. Tonal hardware. Tonal stitching.